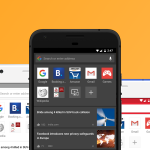 Google Chrome turns on BAS ad blocking - a step forward or too little, too late? 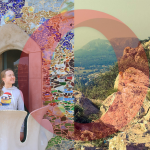 The reason for such results is that Chrome only blocks a very small fraction of ads that are used by only a fraction of the world’s websites. In a different study, Adblock Plus found that Chrome’s ad blocker only blocked nine out of the 55 types of ads currently used online. 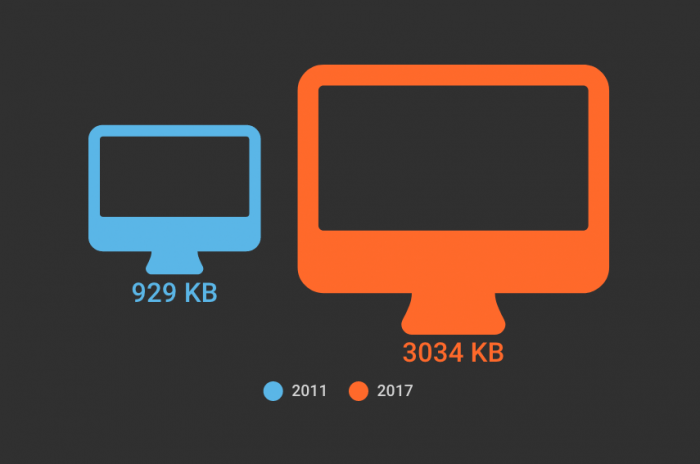 Since 2011, an average website has tripled in size, now taking up an average of 3MB. According to Speedcurve, website size is likely to increase to more than 4MB by 2019 and much of this is will be taken up by images, even more video content and style sheets. Moreover, the advertising industry still hasn’t delivered ad solutions that would be lighter and more acceptable for website visitors. According to eMarketer, ad blocker usage is growing worldwide and is likely to exceed 30 percent in the US in 2018. 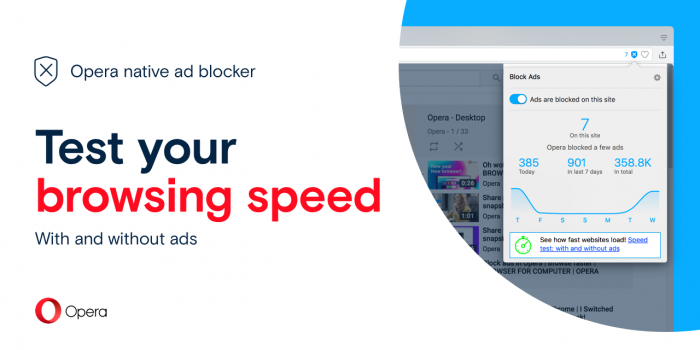 At Opera, we have experienced a steady rise in the percentage of users who decide to switch our ad blocker on. 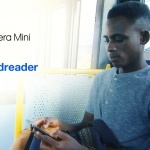 Even though only available as an opt-in feature in preferences, the usage of Opera’s ad blocker also grew by 30 percent just between mid-August 2017 and February 2018. According to a report by Check Point quoted by FastCompany, cryptojacking malware accounted for two of the three most widespread malware infections globally in December 2017. Cryptojacking means that some third parties run scripts on your computer or phone to mine cryptocurrencies. The scripts use your devices’ CPU to earn the third party money without your consent while also draining the devices’ batteries and making them hot and slow. 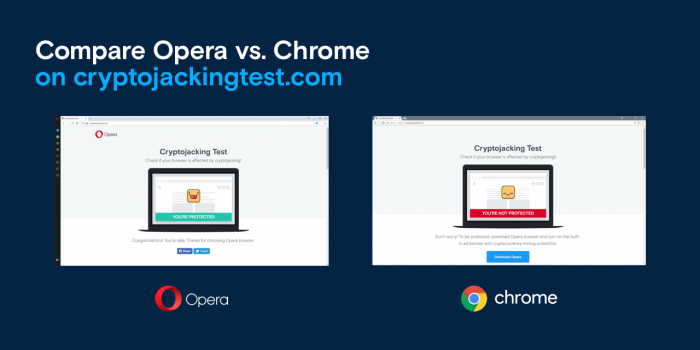 Opera became the first major browser maker to introduce cryptojacking protection in all our desktop and mobile products. So if you’re using our browsers, you are safe. We tested Chrome 64.0.3282.167 (official, 64-bit) with ad blocker on, and Opera 51.0.2830.26 (stable) on Windows 10 OS build 16299.192. Each website was loaded 15 times and the loading time drawn from Navigation Timing. More details about this method can be found here. The 10 websites used in the test were cnn.com, forbes.com, foxnews.com, huffingtonpost.com, indiatimes.com, news.yahoo.com, nytimes.com, reddit.com, theguardian.com and washingtonpost.com. The tests were conducted repeatedly on February 19th.